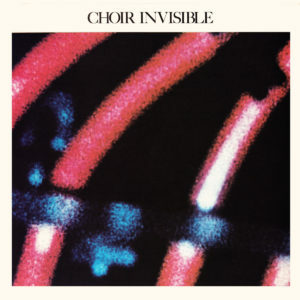 As promised, here’s the second, final, and posthumous record from Choir Invisible, recorded in 1982, but not released until 1984. It’s far more bright and synthy then their debut record. I tend to prefer the previous album, but it depends on your take on buzzing synths vs. brooding guitars. Opposite sides of a similar coin, if you will. 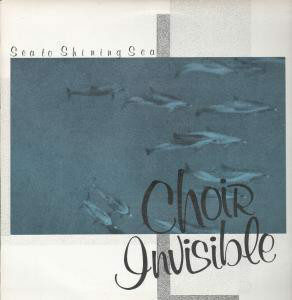 Choir Invisible were a four piece post-punk band hailing from Los Angeles. The band formed in the wake of the Flyboys, a first wave LA punk band, who split after the death of bassist/keyboardist David Wilson. Lisa Fancher, head of Frontier records (who released the lone Flyboys 12” in 1980), essentially pieced Choir Invisible together after the Wilson’s death. The band grew to local prominence, opening for the likes of Romeo Void, Depeche Mode, and Christian Death in the early 1980s, before releasing their debut record in 1981. Though the band split shortly after their 1981 tour, a few straggling members recorded a follow up in 1982, which was released two years later on Passport records. I shall upload this one for my next post, but in the meanwhile, here’s the info for the band’s 1981 self-titled debut.